Reporters Without Borders (RSF) condemns the prison sentences that a court passed on 14 Cumhuriyet newspaper journalists and administrators yesterday, another dark day for press freedom in Turkey. The sentences – up to eight years and six weeks in prison – are the latest example of how the Turkish regime is criminalizing journalism. They were handed down yesterday evening by a court sitting within Silivri high security prison, 85 km west of Istanbul. The 14 convicted defendants will remain free, under court control, until their convictions are upheld on appeal. Atalay, the only defendant still being held, was released conditionally at end of the trial after spending nearly 18 months in provisional detention. Cumhuriyet tax consultants Günseli Özaltay and Bülent Yener and book supplement editor Turhan Günay, were acquitted. The cases against former editor-in-chief Can Dündar and reporter İlhan Tanir, who fled the country, will be handled separately. 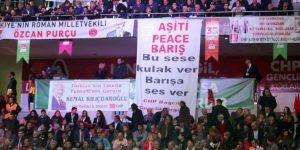 The defendants were alleged to have effected a “radical editorial change” in 2015 and thereafter to have supported the goals of three organizations labelled as “terrorist” by the Turkish authorities. The prosecution based its case above all on the newspaper’s articles, its contacts with sources, its business relationships and the activities of its board – all of were taken out of context and interpreted in an exaggerated manner. In fact, Cumhuriyet has published a series of revelations that were embarrassing for the authorities in recent years, and has become the spearhead of an independent press that is now under more pressure than ever. It was awarded the RSF Press Freedom Prize in 2015. The already worrying media situation in Turkey has become critical under the state of emergency that was proclaimed after a failed coup attempt in July 2016. Around 150 media outlets have been closed, mass trials are being held, and more than 100 journalists are currently in prison, a world record. Turkey is ranked 157th out of 180 countries in RSF’s 2018 World Press Freedom Index. 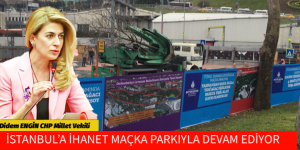 Fatih Altaylı, Seveceğiz Ulan Inadına Seveceğiz.